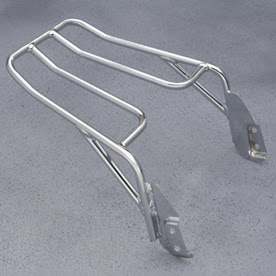 This Rear chrome rack installs in just minutes and increases the storage capacity by allowing you to use a Tailbag for really long trips, not to mention it just plain looks great. If installing on a 950, needs rear rack adapter bracket. Here is a great way to personalize your new ride. 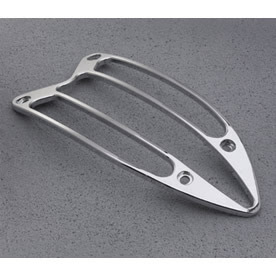 This New Rear Fender Rack is now machined out of 6061 billet aluminum then polished and chrome-plated. Simply unbolt the rear passenger seat and install, totally changes the appearance of your motorcycle giving it that custom look of Rider only.